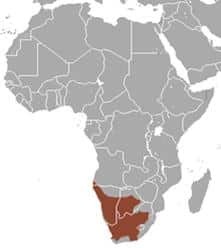 Meerkats live in open, arid areas with grass lined burrows in the Kalahari Desert in Botswana; the Namib Desert in Namibia, South-Western Angola, and in South Africa. 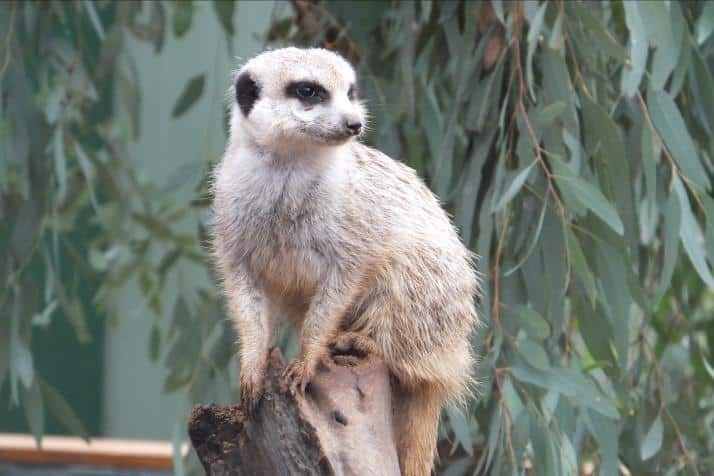 The Meerkat’s coat is usually fawn in colour with brown, tan or grey flecks. They have stripes across their backs with the pattern of these stripes unique to each animal and have thin fur and dark skin on their bellies. Meerkats stand 25-35cm tall and weigh between 0.68-0.9kgs. Their tails can be from 17-25cm long and they use these as tripods to balance on when they stand in an upright position. Meerkats have a territory of about 10 square kilometers and hunt in a different section each day. A nominated ‘sentry’ climbs to the highest rock, mound or bush he/she can find to look for threats and alerts the mob accordingly. Meerkats have a special membrane that protects their eyes while they’re burrowing; they can even close their ears to keep out sand and dirt. They have dark skin and thin fur on their bellies that helps them control body temperature. Meerkats can spot predators in the air from more than 300m away. They have great peripheral vision and the dark patches around their eyes reduce glare from the hot desert surface. 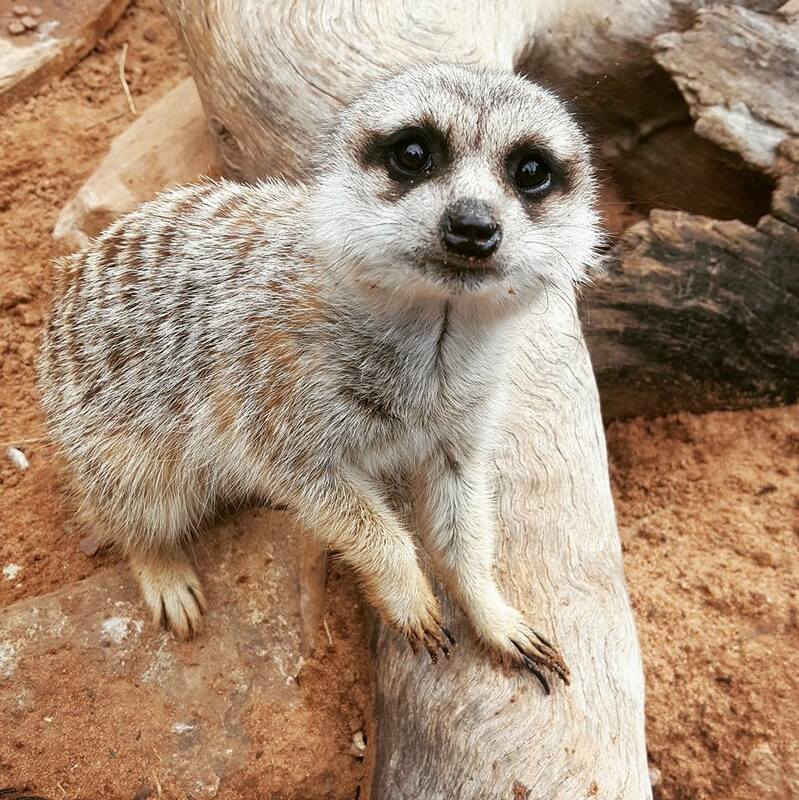 Adult Meerkats can kill and eat poisonous snakes and scorpions without being hurt because they’ve become immune to the venom. A family group of Meerkats are called a ‘mob’, ‘gang’ or ‘clan’, these groups usually consist of 20-50 individuals. When the Meerkat guard senses danger he/she will give a warning bark, allowing the other mob members to run for cover in holes they have spread across their territory. Diet: scorpions, beetles, spiders, centipedes, crickets, millipedes, worms, eggs, tubers, roots, small animals and small reptiles. 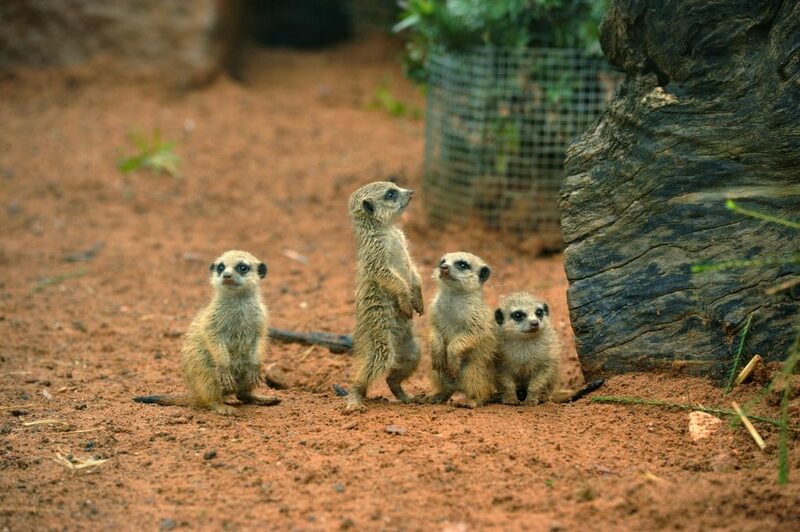 Reproduction: The alpha male and female of the Meerkat mob are the only 2 that breed. The gestation period is 11 weeks with litters of 2 to 5 pups. Predators: Martial Eagles, Jackals & Cobras. Lifespan: 7-10 in the wild and 12-14 years in captivity.